A couple of years ago I bought this beautiful bud vase from Anthropology and it quickly became a pencil holder on our breakfast room table. Pretty disappointing, but very useful. Fast forward 3 years later and I finally get an idea! It's not a new idea, just that it finally applied to my environment. You see them all the time in doctor's offices - pencil/pen's with a big flower attached. The primary purpose is to prevent people from walking off with the doctor's pens and pencils. My purpose was because I wanted something pretty. 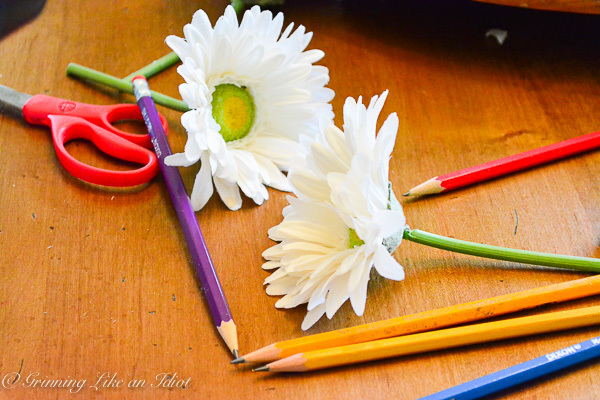 :) And the fact that when I see a pencil with a flower attached laying on the floor in my daughter's room I now know where it is suppose to go! 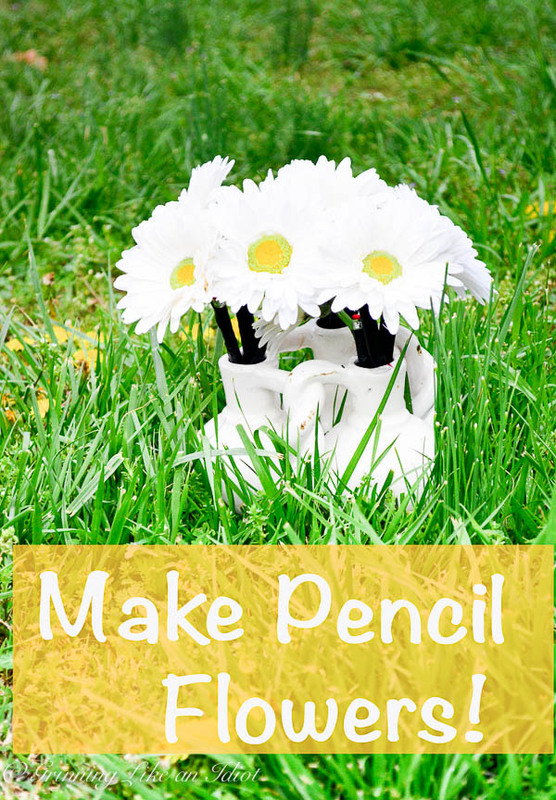 Sharpen the pencils to the length that you want. I used 3 pencils per bud vase and made them various heights so the flower arrangement looked good. 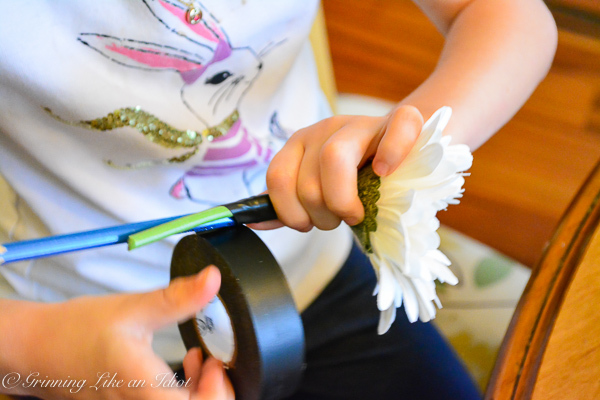 Then I cut the stems of the flowers with wire cutters, my daughter taped the flowers to the pencils. Pin it for later! 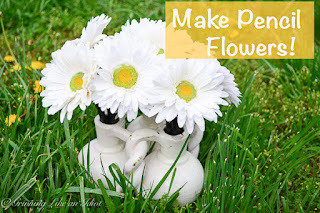 There will come a time when you need a cute, functional and super easy craft that makes a great accent piece for your desk or breakfast room table or a gift for Mother's day or for Teacher appreciation day! Join our conversation on Twitter and Facebook: what is the best craft that you've made that is easy and inexpensive - leave a link?